On Saturday 4 May, the River Turia Gardens in Valencia will be hosting the first ValenciaCaballo, a fascinating and ambitious event that's free and open to everyone. ValenciaCaballo will be featuring horse lovers and equestrian sector professionals, showing visitors the world of horses and encouraging more people to take up the sport. 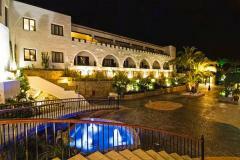 ValenciaCaballo includes a wide range of activities for the whole family, from young children to senior citizens. The arena, based between Puente de Las Flores and Puente de la Exposición, will be the setting for all kinds of equestrian exhibitions, including dressage, "doma vaquera" (a traditional Spanish working riding discipline), equestrian therapies, "tiro y arrastre" (a discipline with its roots in the Region of Valencia) and carriage driving, plus 'taster' riding sessions, activity marquees and all kinds of horse-related commercial products and services. 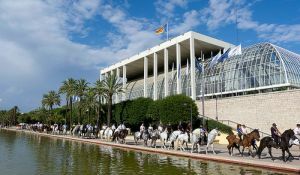 While you're at the event you can also watch horses being ridden along the Turia riverbed gardens. Around a hundred riders are expected to meet up and ride from Parque de Cabecera, at the far end of the gardens, down to the City of Arts and Sciences. They'll be riding along this route all through the day, re-enacting an ancient tradition dating back to when traders and livestock drivers passed by the city walls. ValenciaCaballo is also hosting the official opening ceremony of the Quart de Poblet-Valencia section of route 031 on the "Ruta del Turia" riding trail. This latest stretch of bridleway connects the city of Valencia with the Camp de Turia area, making this route the longest of its kind in Spain and the only one leading into a major city. So, from this weekend, you can travel on horseback through the municipal areas of Vilamarxant, Riba-roja de Túria, Manises, Paterna, Quart de Poblet and Valencia. The bridleway runs along the Túria riverbed park and crosses the forests of La Vallesa and Les Rodanes. From now on, you can get a different view of the countryside near the capital from your vantage point in the saddle!